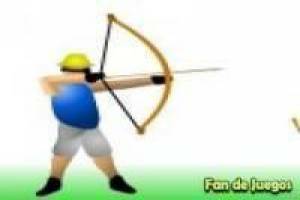 It' s time to show that you have good marksmanship with this fantastic archery game. 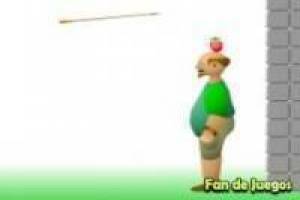 You must use the mouse of the PC to establish the trajectory of the arrow and also the power with which you are going to launch it. You must hit right in the block to complete the level and be able to move to the next. If you miss the shot and it goes away, nothing happens, you will have more opportunities to continue trying. The problem comes if your arrow ends up in your friend' s body, hurting him or killing him directly. If this happens, you will lose the game and you will have to start over again. Take good aim in this game since a person' s life is at stake. Enjoy the game Ten punteria, it's free, it's one of our arrows games we've selected.